Conveniently located minutes from downtown, the Chic, Cosmopolitan South End neighborhood of Boston is where young professionals meet to eat, drink and endeavor to reside. On the National Register of Historic places for being the largest existing Victorian row house residential district, many of the more recent condo conversions have preserved the exquisite workmanship that was original to the time period. 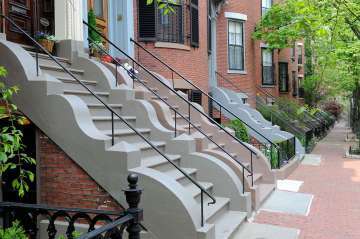 The tree-lined streets of the South End are accented with a diverse selection of some of Boston’s best restaurants & cocktail lounges, art galleries, boutiques and small businesses. The perfect fusion of old and new, there is always something to do in the South End!